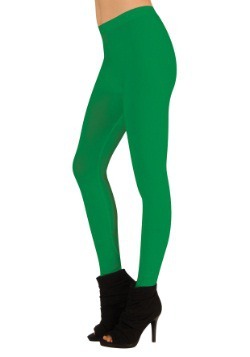 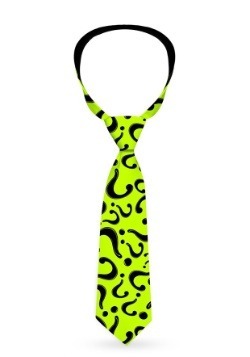 We have a little riddle for you: what's all green, has question marks on it, and is perfect to wear on Halloween? 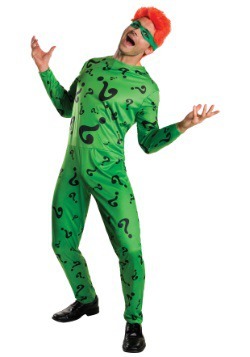 A riddler costume of course. 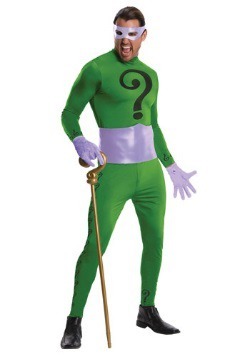 Run amok in the streets of Gotham in a spandex riddler costume. 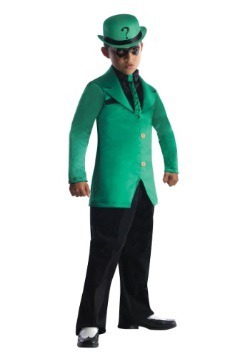 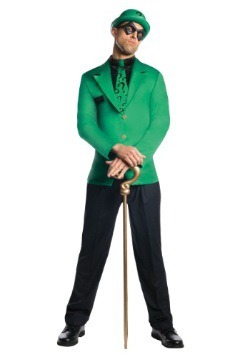 Men, women, and children can dress as the rhyming villain from the DC comic books. 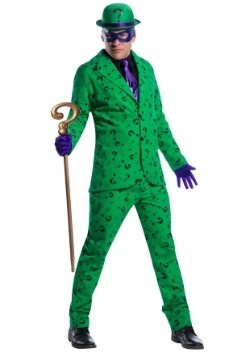 Men have a choice of choosing between a jumpsuit or a suit jacket and bowler hats. 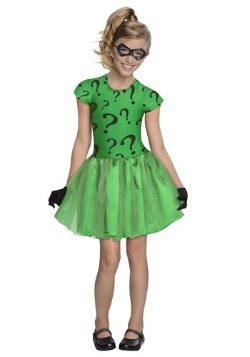 Women can wear a tank dress or a tube dress to become the unpredictable Batman character. 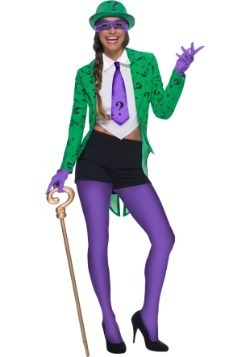 Don't forget to pick up the wig and the question mark cane too!